June 22nd, pencil it in to your diary – for the day is set to see Falmouth’s most ambitious fundraiser yet, in aid of the town’s skate park that has been promised for almost a decade. Plans are underway to bring potentially the most fruitful fundraiser right to Falmouth’s doorstep, at the beautiful Kimberly Park in the heart of town. The announcement was made by Paul Kelly on Falmouth Events, a Facebook page home to hundreds of like-minded individuals, keen on bringing the best array of music and events to the people of Falmouth. Paul, a music technician at Falmouth University, initially pitched the idea and received an overwhelming amount of support from various artists and DJs offering to lend a helping hand. The day will be filled with music as people take to the stage in Kimberly Park, providing an eclectic selection of tunes for people to enjoy while other activities take place – such as a mini ramp for the skaters. There has even been talks of a graffiti wall that will invite anyone to come along and become the next Banksy. Oh and don’t miss out on the Mexican street food brought to you by Sloth and Sparrow Catering. To further the frivolities, the fundraiser will go on into the early hours of the morning with breakout events erupting all over Falmouth: thanks to the DJs, bands, MCs and various other musical maestros that this creative little seaside town and university inherently possesses. Jake de Buriatte, an admin of the Falmouth Events Facebook page and creative director of SBR, a student-run events company, said: “The skate scene is a fundamental part of Falmouth with a positive community message behind it. “I think it’s a fantastic opportunity to bring people of all ages and backgrounds together through food, drink and entertainment. With the student and local skate scene thriving in Falmouth even without a park, it will be refreshing to have somewhere for skaters to congregate and spur one another on. Billy Munden, 16, has been skating for years and is a big part of the skate scene in the local area. Born and bred in Falmouth he is very much looking forward to finally having a designated space to skate, as travelling to Truro skate park is not always possible. “It’s definitely needed. There are so many people involved in the Falmouth scene and it almost exclusively revolves around skating car parks,” he said. Munden went on to describe how the new park will benefit people of all ages, encouraging younger daredevils to hit the park and learn in a safer environment specifically tailored to suit their needs. “It’s the first I’ve heard of this fundraiser but it sounds like it’s going to be really cool,” he added. 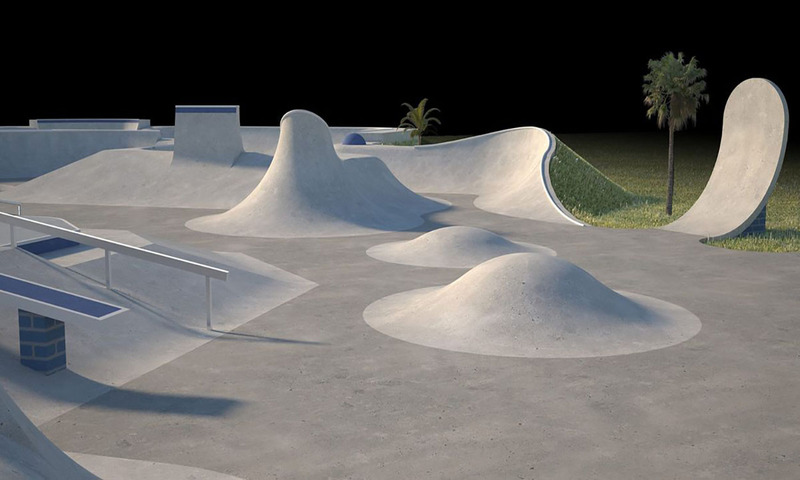 The park project has been undertaken by Maverick Industries, a prestigious skater run business specialising in the design and installation of concrete skate parks. They’re responsible for some of Cornwall’s most loved parks: including Newquay, Porthleven and Newlyn East, further alleviating the excitement for what’s in store for Falmouth and its skaters.